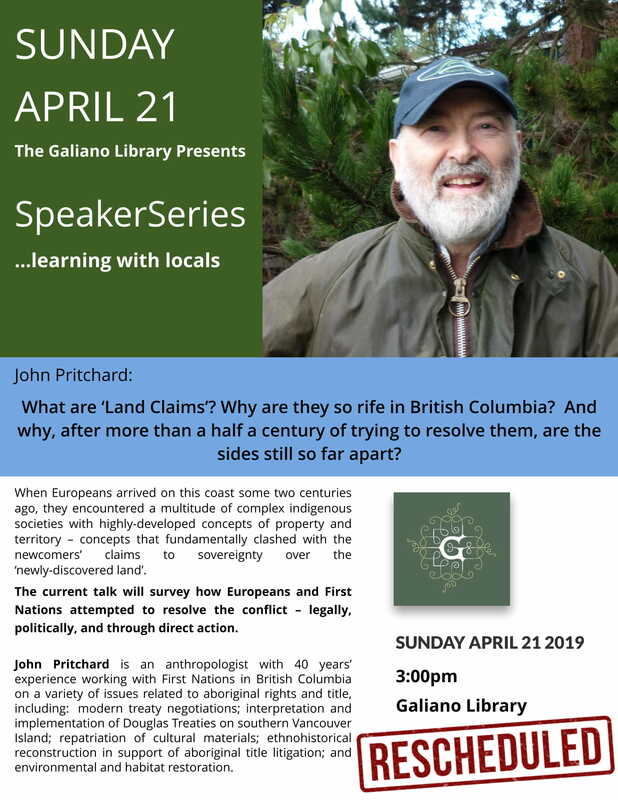 The Galiano Library presents: Speaker Series…learning with locals. 3 pm – 4 pm. What are “Land Claims?” Why are they so rife in BC? And why, after more than a half century of trying to resolve them, are the sides still so far apart? John Pritchard is an anthropologist with 40 years’ experience working with First Nations in BC on a variety of issues related to aboriginal rights and title.